Every Fall, we have the pleasure of hosting the IDA Screening Series, which brings some of the year's best documentary films to the IDA community and members of industry guilds and organizations. Films selected for the Series receive exclusive access to an audience of tastemakers and doc lovers during the important Awards campaigning season. Screenings conclude with a moderated Q&A with the filmmakers, which always produce a lively conversation and reveal extraordinary details about each film and the craft involved in bringing it to life. Back in 2014, the IDA was lucky enough to work with Netflix to present Virunga, now one of the nominees in the Best Documentary Feature category for the 87th Academy Awards®. A powerful combination of investigative journalism and nature documentary, Virunga follows an embattled team of park rangers at Virunga National Park, home to the last of the planet’s last remaining mountain gorillas, as they work to fend off encroaching forces of industry, poaching, corruption and war. The film is the incredible true story of a group of courageous people risking their lives to build a better future in a part of Africa the world’s forgotten, and a gripping exposé of the realities of life in the Congo. 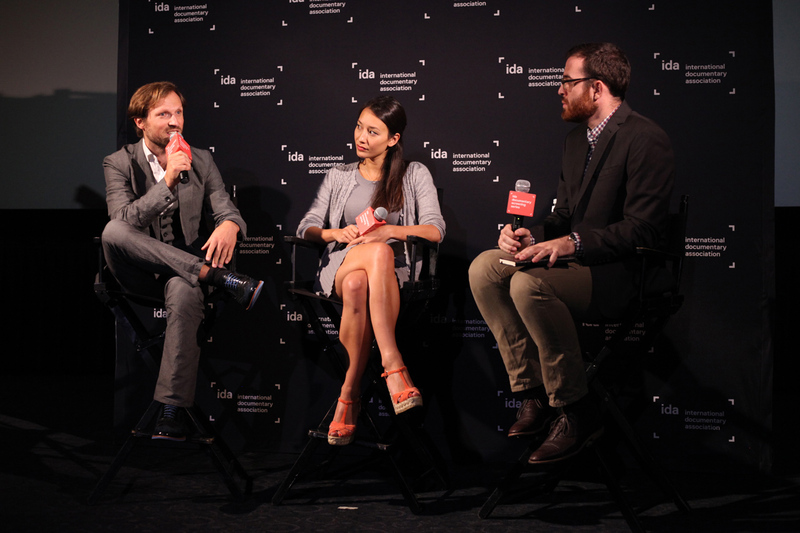 Criticwire's Assistant Editor Steve Greene sat down with director Orlando von Einsiedel and producer Joanna Natasegara to discuss the transformative potential of the Congo, the history of the region, and how they developed their central characters. You can catch Virunga on Saturday, February 21 at the Writer's Guild of America Theater as part of DocuDay LA. Those who will not be in the LA area during Oscars® weekend, you're in luck, too: the film is also available to stream on Netflix. WATCH: What Was It Like To Tour With Journey?